With the NAVpilot 300’s unique Gesture Controller, Fantum Feedback™ steering and self-learning software, you will enjoy a whole new level of navigation with ease and peace of mind! Each time the boat goes to sea, the software learns about sea conditions and automatically calculate the best adjustments for a smooth steering. 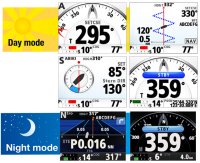 Various display modes [see left] are available on the NAVpilot-300, allowing you to obtain all the necessary data you need thanks to user-friendly menu and graphics, either digital or analogue. The NAVpilot-300 also features day/night graphic display, offering perfect viewability no matter the time. 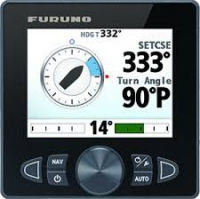 FURUNO’s NavPilot 711C is a revolutionary autopilot with a sunlight viewable display designed for a variety of vessels. 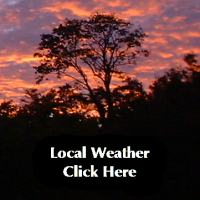 It utilizes a self-learning and adaptive software algorithm, and plays the ultimate role in course-keeping capability. NavPilot 711C dynamically adjusts essential parameters during navigation, such as vessel speed, trim, draught, tide and wind effects, dead band, weather and more. These parameters are stored in system memory and continuously optimised to make the NavPilot 711C more versatile. The new NavPilot 711C features a colour day/night graphic display, offering much better sunlight viewability during the day while not affecting your night vision when the sun goes down. NavPilot 711C continues to learn your vessel's steering characteristics, allowing for real-time, dynamic adjustments to make the boat's steering more accurate. For suitable pumps see Hy-Pro products below. 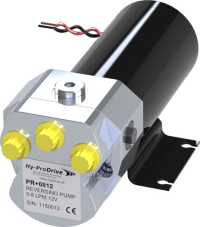 A permanent magnet DC motor driven precision gear pump available with a range of flows from 0.6 to 2.5 litres per minute and either 12V or 24V versions. Each pump is fitted with zero-leakage pilot check valves for positive locking of attached cylinders. The two service ports and reservoir port are mounted on the front of the pump. The threads are G1/4 (BSP) parallel. There is an optional second reservoir port on the top face accessed via a removable plug. If top mounted ports are preferred a kit is available to provide this option. Relief valves to limit the maximum pressure generated are available as a further option. The motors are maintenance free with internal brushes giving typically a 4000+ hour life. The front and rear bearings are sealed ball races for smooth and quiet operation. They have an Ingress Protection rating of IP67. They have a nominal output of 100W with a 50W option on the 12V PR+10 pumps. The pumps are sealed on the driven gear journal allowing the motors to be removed without air entering or oil loss from the hydraulic circuit. The versatile PC25 constant running pumps use a powerful fan-cooled 4 brush motor to deliver up to 2.5 litres per minute. These units come fitted with pressure compensated flow controls, relief valves and cylinder lock valves as standard. Once the hard-over time has been set via the speed control, steering is achieved by switching a double acting solenoid valve. The motor and precision gear pump are protected by a pre-set relief valve and toughened check valve components positively lock the steering on course. The unit comes fitted with an 0.75 litre aluminium oil tank. 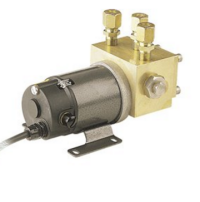 Designed specifically for the marine autopilot market, these 12V and 24V D.C. pumps are used on the larger sailing craft or commercial vessels. They can be used with single or twin double acting rams. They can also be used with balanced or unbalanced cylinders and pressurized systems. Similar in mechanical features to the PC25, the PC45 has a 550W motor to deliver 4.5 litres per minute. A stainless steel clamp retains the stove enamelled steel oil tank, and inside is a large capacity replaceable 15 micron return line filter to maintain system cleanliness. A heavy duty motor starting relay is also supplied, as are the rubber noise absorbing mounts. Available for 12V and 24V systems. 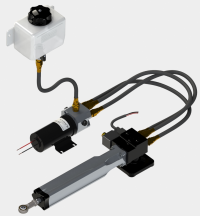 The ML+40 combines a hydraulic cylinder, pump, IP67 motor, clutch and reservoir in one powerful and compact unit. To operate the clutch is engaged and the cylinder extends and retracts by means of reversing the motor polarity. Integral relief valves protect the unit and its mounting from being overloaded. Anti-cavitation valves are also incorporated to allow full stroke speeds of up to 2 seconds when back-driven by the helm. Available for 12V and 24V systems. 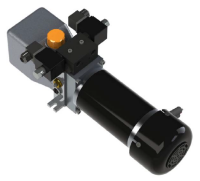 combine a hydraulic cylinder with clutch, reversing pump and reservoir in a compact installation. times and thrusts to suit the application. are also possible. Available for 12V and 24V systems. 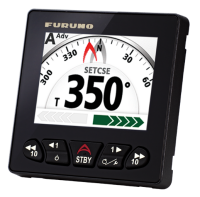 The AP44 Autopilot Controller combines Simrad Continuum steering technology with a full colour display, intuitive rotary dial and button controls, and modern glass helm styling. Free your hands from the wheel, cruise in comfort, and discover new ways to search for fish; this dedicated controller offers easy access to automated turn patterns, No Drift steering, depth contour tracking, and other advanced pilot features. 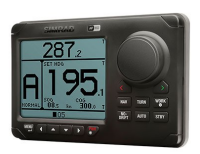 Connect your chart plotter to add way point and route navigation, and enjoy full autopilot control from compatible Simrad displays. Replacing the renowned AP35, the AP60 is a cost effective autopilot system, providing commercial vessels with the perfect balance of performance and price. Cost effective advanced autopilot system with thruster interface. 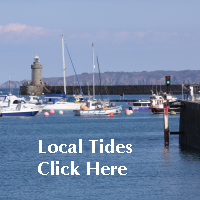 Compatible with an extensive range of existing Simrad autopilot controllers and accessories. Two user configurable WORK profiles, customise parameters to suit individual vessel needs. Designed by the world leaders in autopilot technology. 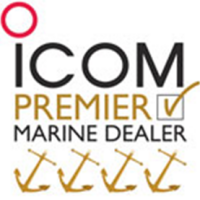 Backed by the Simrad Advantage Service program which includes 7 years of worldwide product support. Features include; Large Colour Display, Smooth Rotary Controller, Easy To Use Interface, Rudder Interface Options, Thruster Integration, CAN Bus & NMEA0183®, Optional Remote Joystick, Fully Waterproof. 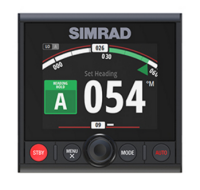 Every Simrad steering innovation builds upon a legacy encompassing over sixty years of autopilot development, which continues to this day. This legacy is exemplified by the Continuum algorithm: the software behind Simrad steering technology. Continuum steering distills years of research and on-water testing into a flexible software solution, capable of delivering reliable auto-steering performance tuned specifically to match a vessel’s control characteristics. 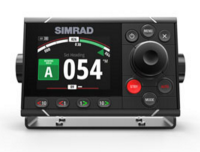 With a comprehensive range of hardware and interface modules, Simrad autopilot solutions can be tailored to suit a wide range of commercial vessels and applications. 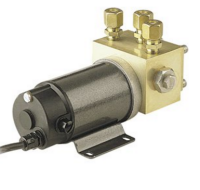 The RPU80 is a reversible hydraulic steering pump for boats up to 35ft. It works in conjunction with the AC12 autopilot computer as part of an autopilot system. Features include; Reversible Pump, 12V DC, 80-250 cc. 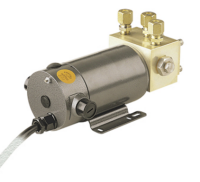 The RPU160 is a reversible hydraulic steering pump for boats up to 50ft. It works in conjunction with the AC42 autopilot computer as part of an autopilot system. 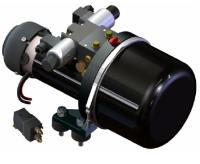 The RPU300 is a reversible hydraulic steering pump for boats up to 70ft. It works in conjunction with the AC42 autopilot computer as part of an autopilot system. Features Include; Reversible Pump, High Flow Rate, 12V DC, 290-960 cc.